As the new season gently settles in, there are more and more reasons to stay warm under cozy layers. Wrapped up in soft cardigans, tall boots, shirts or sweaters, we often choose to add a blanket scarf to our fall outfits for an extra layer of cozy. Even during colder months, accessories really are the easiest way to diversify any look and add dimension and structure to your outfits, so of course we couldn’t leave scarves out of the layering clothes equation! 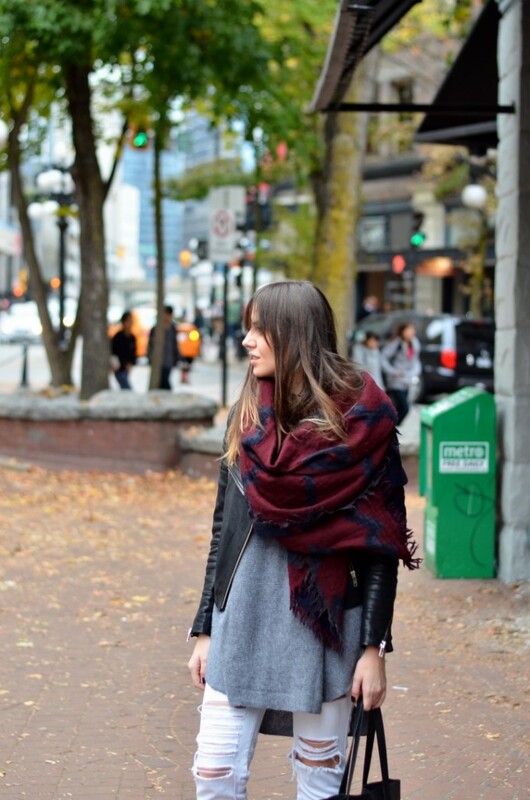 I am pretty much in love with blanket scarves lately. They are such a chic and versatile piece that you can easily add to any outfit and outerwear combo. I think that with one or 2 great scarves you can pretty much redefine your fall outfits, not to mention that they’re soft and warm and can also be worn as capes over cropped jackets or cardigans. This aztec navy and burgundy blanket scarf is the only scarf I’ve purchased this season and I am already making most of it, wore it so much already! I personally believe that scarves should be one of those investment pieces, so instead of buying lots, stick to just one or 2 fabulous ones – a colorful one and one neutral one would probably get you more bang for your buck. 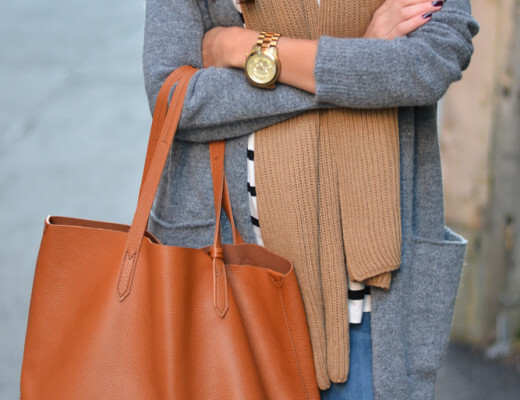 Bag , Jeans (similar here) , Sweater (similar here) , Leather Jacket (similar here), Scarf (similar here and here), Flats (similar here).